Despite objections from top technology companies about the Cybersecurity Information Sharing Act (CISA), the newly elected Speaker of the House Paul Ryan has decided to add it to the Omnibus bill expected to pass later this week. Under the guise of security, CISA will broaden data collection powers and increase surveillance from government agencies. Since many tech companies have said the new bill is unlikely to perform the functions it was intended to, they are troubled by the possibilities. According to the Competitive Enterprise Institute, CISA lacks a key safeguard necessary to protect citizens. There are no checks and balances to prevent abuse from government agencies. Unlike other proposals, victims of CISA would have to rely on the government to police itself internally. We all know how well that works. In an open letter, CEI, FreedomWorks, TechFreedom, and the Niskanen Center, urged the speaker not to add it or other similar legislation to the omnibus bill. One of the biggest groups fighting against this law is called Fight for the Future. When tech companies originally stated something needed to be done, this group pressured them to clarify that they did not support CISA. 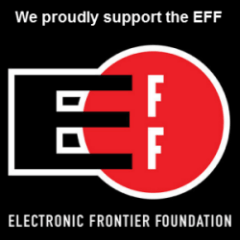 Evan Greer, the campaign director of Fight for the Future, called this bill a “disingenuous attempt to quietly expand the US government’s surveillance”. As the public becomes more privacy minded since 2013, CISA seems to be moving in the opposite direction. The debate between national security and privacy advocates has become a hot topic, and both sides are passionate in their beliefs. Unfortunately, it looks like the citizen is the one that gets to suffer this time, even though CISA is unlikely to improve the government’s ability to detect, intercept, prevent, or stop cybersecurity attacks. Joseph Canatacci, the UN privacy chief, recently said the worst country for privacy was the UK, and that George Orwell could not imagine the types of surveillance being used now. With this vote, the US can’t be far behind. Does having national security mean that citizens have to give up personal freedoms? The current congress thinks so. Though most of the US agreed with the Patriot Act after 9/11, the public’s appetite for surveillance has decreased significantly since. After Edward Snowden released documents detailing how much information was being collected, people began to grow concerned about their individual privacy again. Instead, it is business as usual. If congress is supposed to represent the will of the people, they are still not listening.